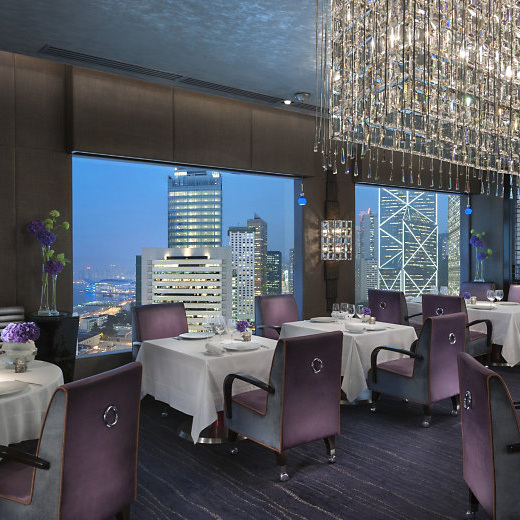 Restaurant: This stunning restaurant, situated on the 25th floor of the 5-star Mandarin Oriental Hotel, is Pierre Gagnaire’s pied a terre in Hong Kong. Here diners can experience outstanding modern French cuisine in a stunning environment half a world away from France. Gagnaire’s protégé Jean Denis Le Bras leads the culinary team. Diners expect—and receive--creative interpretations of classic dishes with seductive flavors that are truly worthy of the restaurant’s two Michelin-stars. A vision of contemporary luxury, Pierre’s décor incorporates luxurious fabrics in a palette of charcoal, cherry, blue, and black highlighted with silver and crystal. Floor-to-ceiling windows offer views over Victoria Harbour while the central chandelier shifts from one sparkling hue to another. Atmospheric and dramatic, the setting is a perfect backdrop for enjoying the phenomenal cuisine. Pierre Gagnaire, who visits the restaurant three times a year, is a wizard of innovative French gastronomy, and one of the most original and artistic chefs in the world today. Although his food is often described as ‘modern French,’ his style is deeply rooted in French cooking traditions. The result is dishes that are easy to understand and unpretentious yet exquisitely presented. Chef: Chef Jean Denis Le Bras joined Hong Kong’s Mandarin Oriental in 2013. Jean Denis was the perfect choice to lead Pierre’s culinary team, with his more than 16 years’ experience in leading restaurants around the world, the past eight of which he spent with Pierre Gagnaire. 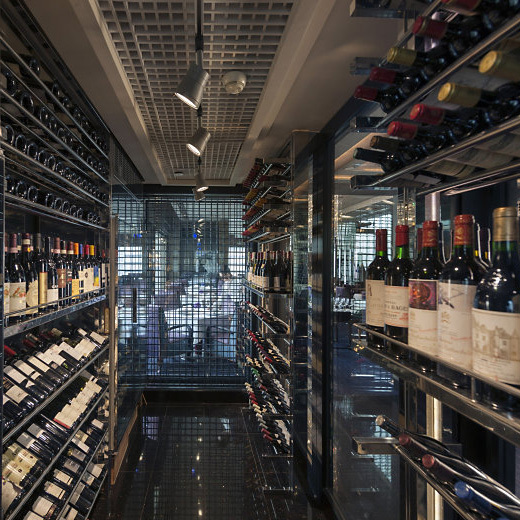 Before moving to Hong Kong, Jean Denis and his London team secured a second Michelin star and five AA Rosettes for Pierre Gagnaire’s Lecture Room and Library restaurant at Sketch. Prior to this, Jean Denis was head chef at Francois Plantation, Pierre Gagnaire’s celebrated restaurant in St Bart’s. Butter: Pierre serves Maison Bordier butter--salted for lunch, and unsalted and seaweed flavored for dinner. The butter rests on a plate beneath a piece of vellum printed with the abstract table image, from the Pierre logo. Commentary: When Chef Le Bras was working in France, he baked Kouign Aman, a round crusty cake, made with bread dough containing layers of butter and sugar folded in. “Kouign Aman is a traditional recipe from Brittany which you add the same amount of butter as flour! Everybody was surprised but they all loved it!” Recalls Chef Le Bras.